So, you're heading to Paris, and you're taking us with you you want to see everything. The street-style shots alone — with those fresh, carefree, impossibly cool ladies — have inspired you to immerse yourself in everything Paris has to offer. But, pulling it off in just one visit is no easy feat. From the quaint little cafés, bakeries, and boutiques you've heard about to the major, must-see sites, you've got to be sure to hit each and every spot. And, perhaps you think only a local can assure that you've truly conquered them all. Enter Chloé Johnston, the mastermind behind CJ Tours, a full-service Parisian shopping experience. After garnering a well-rounded education in sociology, public relations, and, finally, fashion entrepreneurship, Johnston was ready to fuse her interests into building a travel company — all with the guidance of her mother, Mary Anne Hawrylak. The two women share a passion for French culture, and they extend that enthusiasm and knowledge to their clients for every trip to the City of Love with custom tours. Yes, custom. As in, you have the opportunity to be led through the city by multilingual guides, all of whom have backgrounds in fashion and personal relationships with top vendors and designers. Quite fancy, non? Whether you're in need of tons of help — including flights and hotel accommodations — or just seek a hand in mapping a strategic route to hunt down vintage Chanel, Dior, and Lacroix, Johnston attends to every detail. Hey, we're all for wandering the side streets, but with a little insider help, at least you won't find yourself entirely lost on your next (or first!) 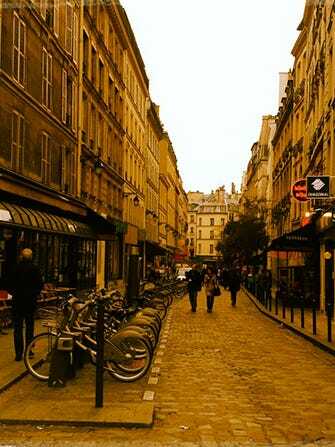 Parisian getaway. Visit the CJ Tours site to see what the company has to offer, including four-hour package guides (starting at $195 a person) and customized private and extended tours, all catered to you. Oo la la, indeed.